Herbert Booth appears to have worked in a variety of different jobs. 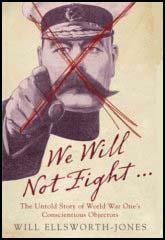 On the outbreak of the First World War the Directorate of Military Intelligence Section 5 (MI5) was established. In 1916 MI5 set up PMS2 to spy on the British socialist movement. Major William Lauriston Melville Lee was appointed as head of PMS2. One of his senior agents was Herbert Booth. According to an interview he gave to the New York Times, he was intially enlisted to "track down the reasons why a number of shells from certain factories had defective fuses." Alex Gordon was a journalist working for the Leicester Mail. In late 1916 he was recruited by Booth to work as an undercover agent working for PMS2. Booth told him that his boss, Major Lee, "is a crank on Socialism" and wanted him to "get in touch with people who might be likely to commit sabotage" against the state during the First World War. Gordon was paid £2 10s with bonuses. Herbert Booth added "the more exciting the copy (information), the better the governor (Major Lee) would be pleased." Booth then went on to say: "There is nothing particularly wrong about it (spying) and no names will be published and no harm done that way. You will be setting forth a list of facts. You will (need to) be able to state the case as to the militancy and the attitude of any people who may be there towards the war." Gordon's first task was to visit the International Workers of the World (IWW) organisation in London. As well as obtaining some leaflets he was asked to draw a plan of the building. Soon afterwards the IWW headquarters was raided by the police. This was followed by a visit to the Communist Party office in Charlotte Street. Once again he was asked to draw a map that enabled a successful police raid. Gordon was then sent to Derby to infiltrate the peace movement in the town. 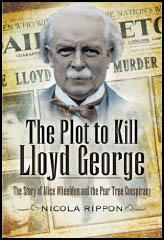 Nicola Rippon has argued in her book, The Plot to Kill Lloyd George (2009): "Having been sent to a particular town, agents acted mostly of their own volition, following leads as they chose and coming into contact with their superiors only when they had something significant to report. But the most troubling aspect of this method of information-gathering was that many of the so-called 'agents' were nothing of the sort. They were in fact little more than paid informants, with no espionage training; worse, they were often paid only on results. The better the information supplied, the more the informer was rewarded. Far from being motivated by serving their country, the informants' interests were purely financial and they knew that the more salacious the information gathered, the better their earnings. Consequently they were often tempted to exaggerate or even invent information to ensure a healthy wage. It was a risky and entirely unsatisfactory way of acquiring intelligence." On 27th December 1916, Alex Gordon arrived at the home of Alice Wheeldon, who along with John S. Clarke, Hettie Wheeldon, Winnie Mason and Arthur McManus, had established a network in Derby to help those conscientious objectors who refused to serve in the armed forces. Gordon claimed to be a conscientious objector on the run from the police. Alice arranged for him to spend the night at the home of Lydia Robinson. a couple of days later Gordon returned to Alice's home with Herbert Booth, another man who he said was a member of the anti-war movement. According to Alice, Gordon and Booth both told her that dogs now guarded the camps in which conscientious objectors were held; and that they had suggested to her that poison would be necessary to eliminate the animals, in order that the men could escape. On 31st January 1917, Alice Wheeldon, Hettie Wheeldon, Winnie Mason and Alfred Mason were arrested and charged with plotting to murder the British Prime Minister David Lloyd George and Arthur Henderson, the leader of the Labour Party. Basil Thomson, the Deputy Commissioner of the Metropolitan Police, argued in his book, The Story of Scotland Yard (1935) that Gordon was an agent who "was a person with a criminal history, or he had invented the whole story to get money and credit from his employer." Major William Lauriston Melville Lee gave evidence in court. He was asked by Saiyid Haidan Riza if Alex Gordon had a criminal record. He refused to answer this question and instead replied: "I have already already explained to you that I do not know the man. I cannot answer questions on matters beyond my own knowledge." He admitted he had instructed Herbert Booth to "get in touch with people who might be likely to commit sabotage". In court Alice Wheeldon admitted that she had asked Alfred Mason to obtain poison to use on dogs guarding the camps in which conscientious objectors were held. This was supported by the letter sent by Mason that had been intercepted by the police. It included the following: "All four (glass phials) will probably leave a trace but if the bloke who owns it does suspect it will be a job to prove it. As long as you have a chance to get at the dog I pity it. Dead in 20 sec. Powder A on meat or bread is ok."
On 13th March, three days after the conviction, the Amalgamated Society of Engineers, published an open letter to the Home Secretary that included the following: "We demand that the Police Spies, on whose evidence the Wheeldon family is being tried, be put in the Witness Box, believing that in the event of this being done fresh evidence will be forthcoming which will put a different complexion on the case." Basil Thomson, the Deputy Commissioner of the Metropolitan Police, was also unconvinced by the guilt of Alice Wheeldon and her family. Thomson later said that he had "an uneasy feeling that he himself might have acted as what the French call an agent provocateur - an inciting agent - by putting the idea into the woman's head, or, if the idea was already there, by offering to act as the dart-thrower." This controversial case resulted in the PMS2 being closed down in 1917. Major William Lauriston Melville Lee retired to his home, Stoke House in Headington. Later that year he established and edited a journal called Industrial Peace, which circulated information on left-wing political organizations and individuals. In early December 1919 Alex Gordon arrived at the offices of the Derby Daily Express offering to sell information "to anyone about anything". As he was carrying a gun at the time he was removed from the premises by the police. On 27th December, 1919, The Daily Herald published an interview with Gordon. The journalist who carried out the interview claimed that Gordon was consumed by paranoia and guilt and appeared to be "making a great effort to control his condition of haunting anxiety and nervous dread". He confessed to being recruited by Herbert Booth to work for MI5 and told of the work he did against the IWW and the Communist Party. However, he refused to talk about his role in the conviction of Alice Wheeldon, Winnie Mason and Alfred Mason. In February 1921 Herbert Booth sued The Daily Herald for an article in which it had compared him to William Oliver, who worked as a government spy and had been instrumental in the conviction and execution of Jeremiah Brandreth on 7th November 1817. The jury found in his favour and he was awarded £500 in damages. It is believed that Herbert Booth died in King's Cross around 1950. This week's release of MI5 files has turned out to be a spook public relations exercise, as expected (letter, 14 October). I glanced over the files myself on Tuesday. They are mostly MI5's official in-house histories for 1909-19, of which several have passages blanked out, three have gone "missing" and one has been withheld. The original operational files were long ago destroyed, with just two exceptions (and these too have sections blanked). Full-time employees are listed, but the names of officers have long been available elsewhere, and infiltrators, narks and agents provocateurs remain anonymous. Still, at least we now know who MI5's typists and "charwomen" were. I found no reference to the agent-provocateur activities of the MI5 offshoot PMS2, which in 1917 framed a family of socialists on ludicrous charges of plotting to assassinate Lloyd George with a poisoned air-rifle pellet while he was playing golf. Contrary to the hype, the story of MI5's successes against German espionage is not news. It was written up as early as 1920 by Sidney Felstead with (as one of the newly released documents confirms) assistance from within MI5. In truth, MI5's achievements in this field were akin to shooting fish in a barrel, and largely parasitic on the work of other agencies. The available evidence shows conclusively that Alice Wheeldon (not "Wheedon") never plotted to murder anyone and that she was framed by an MI5 offshoot called PMS2 ("Lloyd George freed his would-be assassin", 28 November). The "testament of MI5 agent Alex Gordon" was certainly not "damning evidence" of Wheeldon's guilt. "Alex Gordon" (real name: William Rickard) was a mentally unstable journalist with a criminal record who was employed by PMS2 as an agent provocateur. His deranged imagination produced the allegation that Wheeldon and her family planned to shoot Lloyd George with a poisoned air-gun pellet while he was playing golf. Although Rickard's evidence was central to the Wheeldon trial he never appeared in court to face cross-examination. PMS2 later packed him off to South Africa to get him out of the way and he eventually committed himself to a mental asylum. Having been sent to a particular town, agents acted mostly of their own volition, following leads as they chose and coming into contact with their superiors only when they had something significant to report. But the most troubling aspect of this method of information-gathering was that many of the so-called 'agents' were nothing of the sort. They were in fact little more than paid informants, with no espionage training; worse, they were often paid only on results. The better the information supplied, the more the informer was rewarded. Far from being motivated by serving their country, the informants' interests were purely financial and they knew that the more salacious the information gathered, the better their earnings. Consequently they were often tempted to exaggerate or even invent information to ensure a healthy wage. It was a risky and entirely unsatisfactory way of acquiring intelligence.